How to Change the Audio Settings of the Onion? ezTalks apps allow you to change the audio settings of the Onion during a meeting. This article is about how to change the audio settings. If you have added the Onion on the desktop app, find the Settings page and you can select the preferred microphone and speaker. If you have plugged an external mircophone and speaker to the USB port of the Onion, it will automatically select the USB devices by default. Then go to Audio Settings and you can select the preferred microphone and speaker. 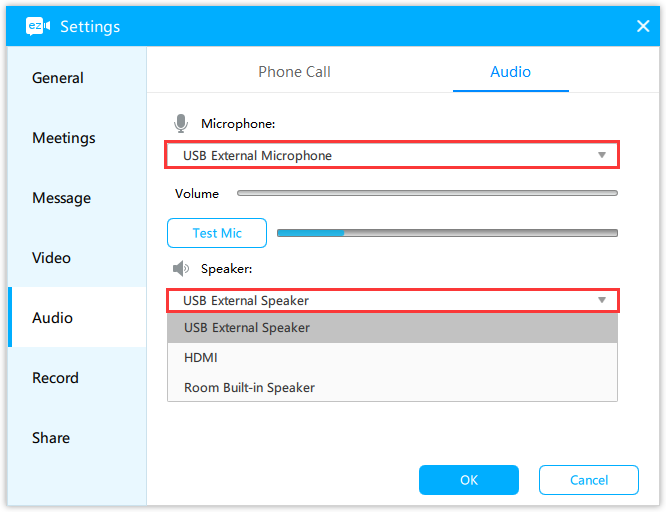 If you have plugged an external mircophone and speaker to the USB port of the Onion, it will automatically select the USB devices by default.